Amazonite has been called the stone of hopes and dreams. It is believed to provide harmony and balance to the wearer. 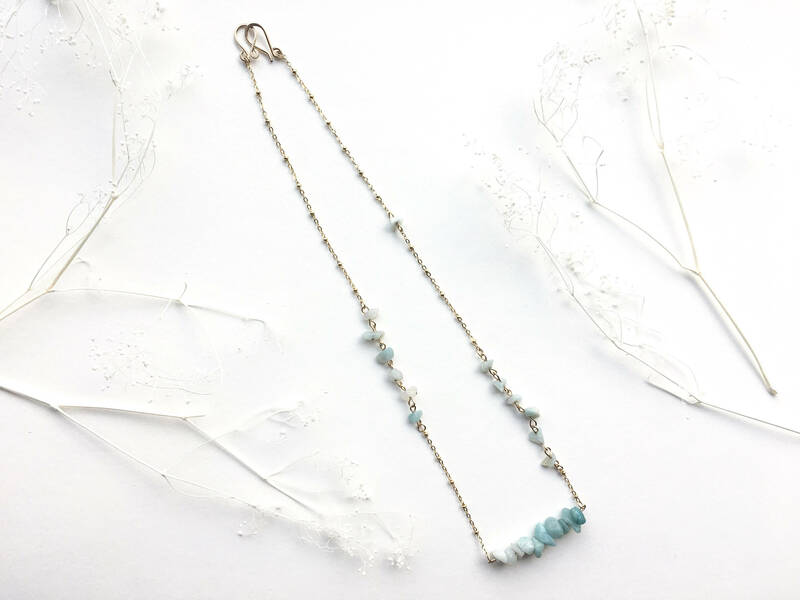 Wear this necklace as a casual addition or an elegant centerpiece, but feel absolutely inspired no matter how you wear it. 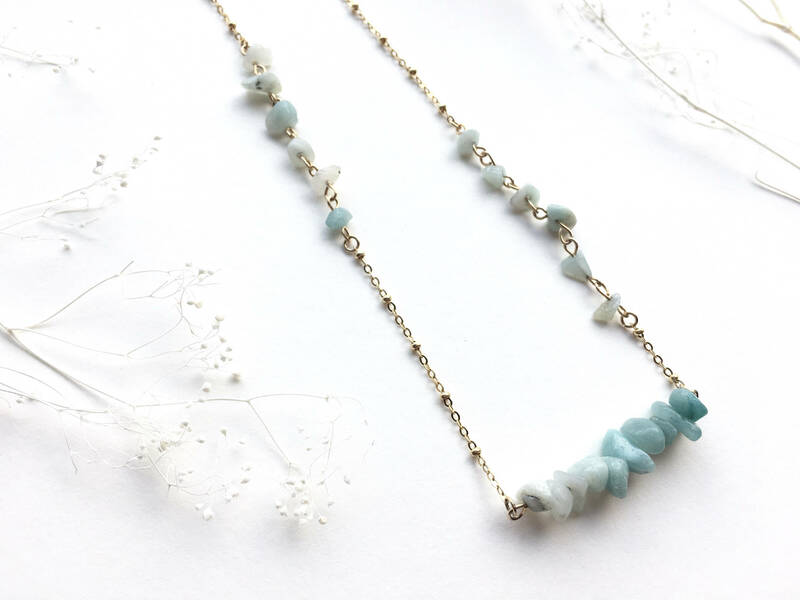 A single bar of amazonite beads is the focal point of this stunning necklace. Beautiful tones of pale blue seem to glow from these stones, fading from bright to light in an ombre pattern. Paired with bright, warm gold, this necklace is sure to draw attention! 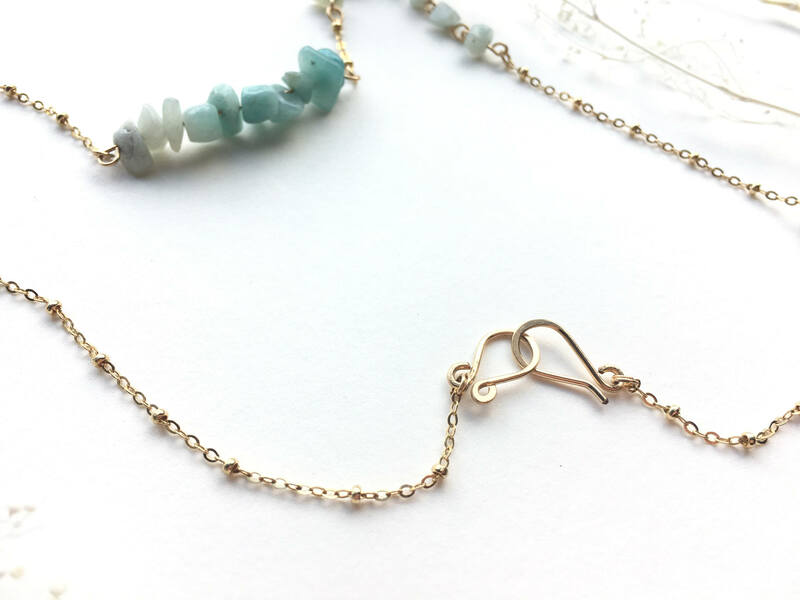 The 14K gold-filled beaded chain is absolutely stunning with it's delicate weight and design. 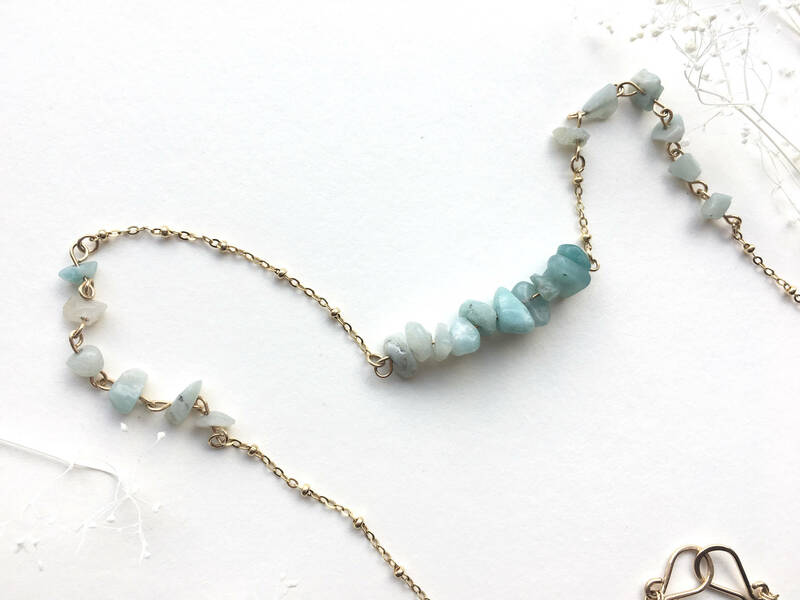 A small strand of asymmetrical amazonite chain dangles on each side of this necklace, adding color to middle of the gold chain. 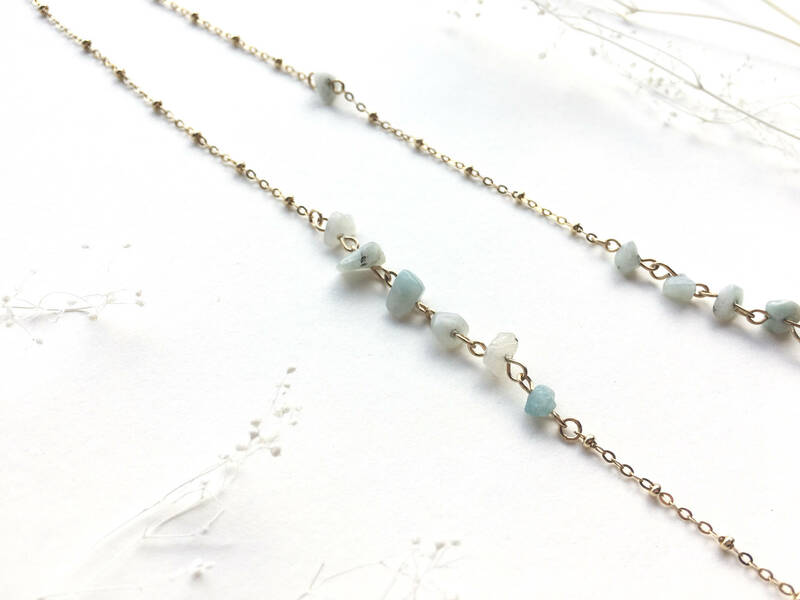 A single amazonite bead accents the back of the necklace. Two hook closures were hand-formed from 14K gold-filled metal, shaped and hammered to give texture. This necklace hangs approximately 9.5" from hook to center beaded bar. All metal components of this delicate chocker are 14K gold-filled, meaning they will shine beautifully and maintain their gold appearance even after being worn everyday -- very different from gold plated! Each necklace set is gift wrapped in a hand-stamped box and tied with a pink ribbon, perfect for gifting!